UFC Fight Night 129, a.k.a. UFC Chile has seemingly completely fallen apart. First news broke about the Fight Night’s main-event being in jeopardy. Later, one of the headlining fighters Santiago Ponzinibbio was forced to pull out of the fight due to an injury. A fcouple of days later, even the co-main event fell apart, as Volkan Oezdemir was forced to pull out of the fight due to his ongoing legal troubles. 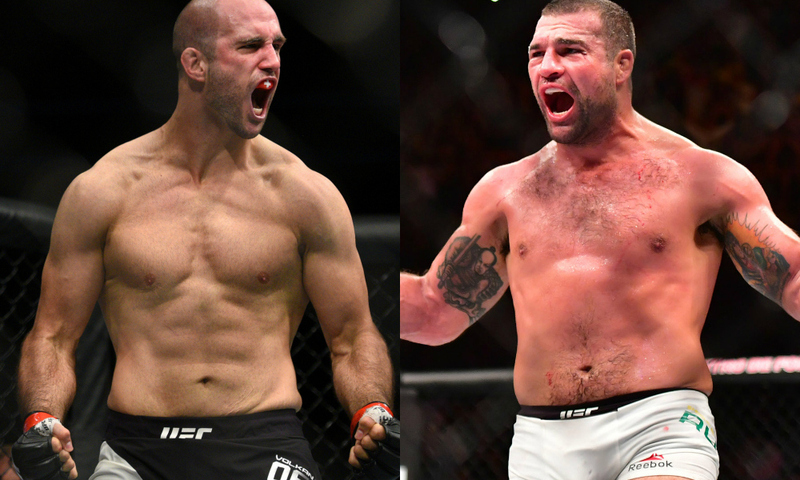 However, the UFC has been quick to realise the worth of a potential fight between a young, up-and-coming fighter ​such as Oezdemir and a veteran like Mauricio ‘Shogun’ Rua. Hence, the UFC has now rescheduled their fight to serve as the main-event for UFC Fight Night 134. Volkan and Rua will now headline UFC Hamburg. Oezdemir has a MMA record of 15-2 and a UFC record of 3-1. he lost his first career bout to Kelly Anundson at Bellator 115 via submission due to a neck crank. He then went on a five fight win streak beating popular fighters such as Ovince St-Preux, Misha Cirkunov and Jimi Manuwa. He challenged Daniel Cormier for the UFC light heavyweight championship. however, he lost the fight via TKO due to punches in the second round at UFC 220. The Swiss fighters’ legal troubles began back in August for aggravated battery and assault. On November 19, 2017, Volkan was arrested for the assault. His bail was reportedly set at $10,000. It was reported on April 13, 2018 that Oezdemir was pulled from the event due to alleged visa issues restricting his travel to Chile. Even ‘Shogun’ Rua was also pulled out of the event. Rumours had been circulating around that the UFC matchmakers were trying to reschedule and re-book the main-event. However, there was plenty of uncertainty surrounding the event. Journalists and media personnel had been trying to speculate about the future of this exciting fight. It was confirmed today that the fight has indeed been rescheduled. The UFC officially confirmed the news via their social media handles. The light heavyweight bout will now be headlining UFC Hamburg.